I wanted to try this for quite sometime but my family doesn't really like spicy items so I was kind of hesitating for a while. 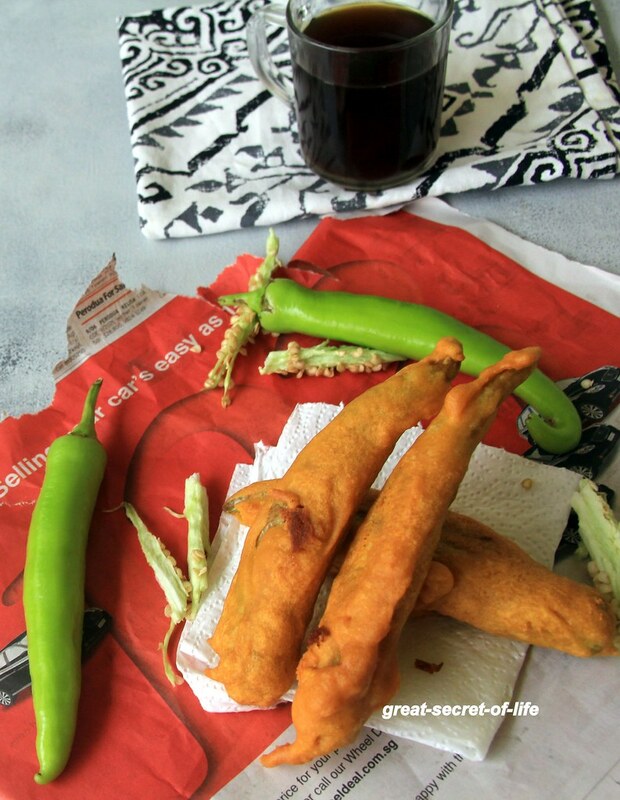 In our last trip to US we had ordered Andra Cut Mirchi Bajji. I loved it but everyone else felt it was spicy. My sis was wondering whether I really ate this spicy still (I used to during my school and college days but after marriage reduced due to family preferences. Normally after a while your taste buds change). Later I went to India and in Phoenix mall kailash parbat I saw Mirchi Chaat. I was kind of curious and ordered that. It was served with sweet chutney, sev and yogurt . Stuffing is with potato so it is not spicy at all. So I decided to try it out to see whether kids can take it. . They liked the Chaat version. First pic in this with stuffing Video is with stuffing too. 2nd pic is for chaat and 3rd one is without stuffing. You can skip the stuffing preparation but rest is same if you want do without stuffing. 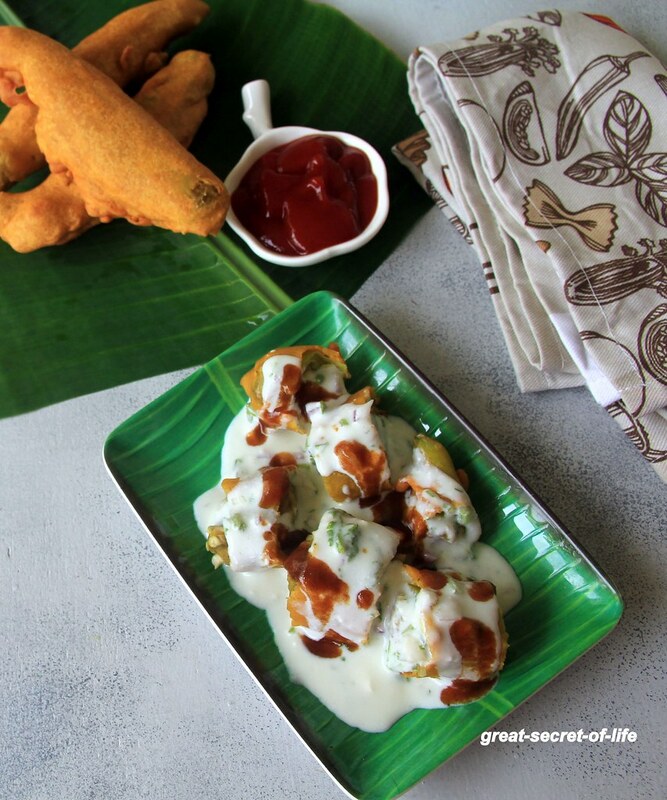 For a chat just mix the ingredients under for Chaat and drizzle over cut bajji. 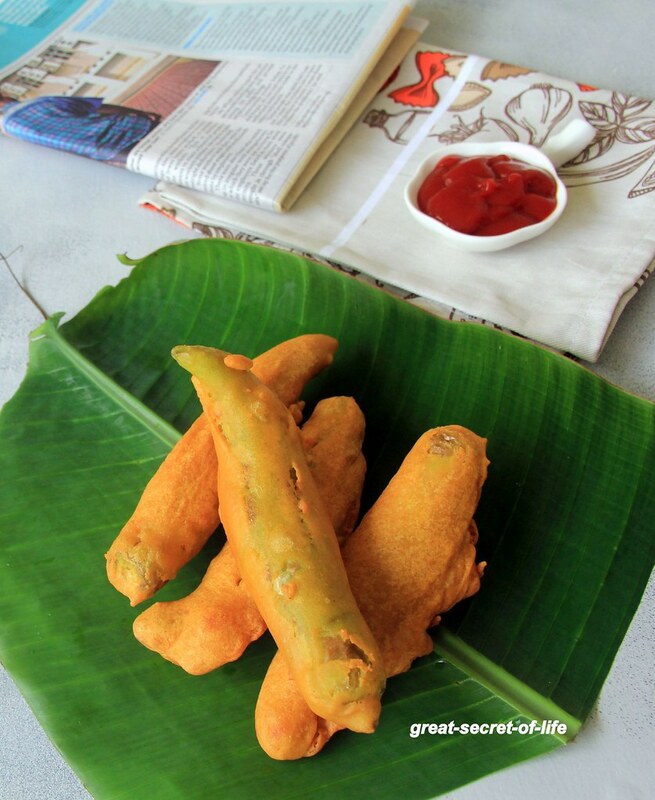 Mix besan flour, rice flour, baking soda, Asafoetida, salt in a wide bowl. Add required water and make it to thick batter.